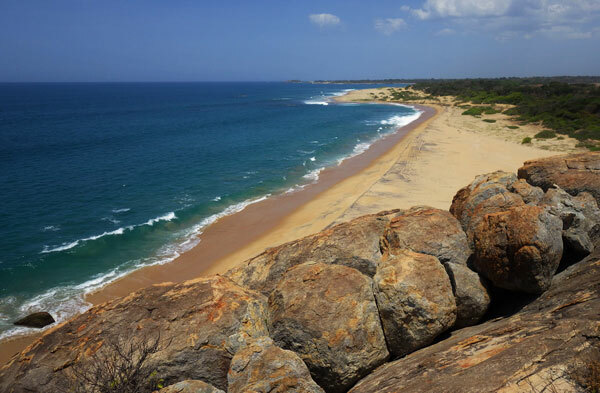 Elephant Rock is a very popular beginner surf spot located approximately 4km south of Arugam Bay. 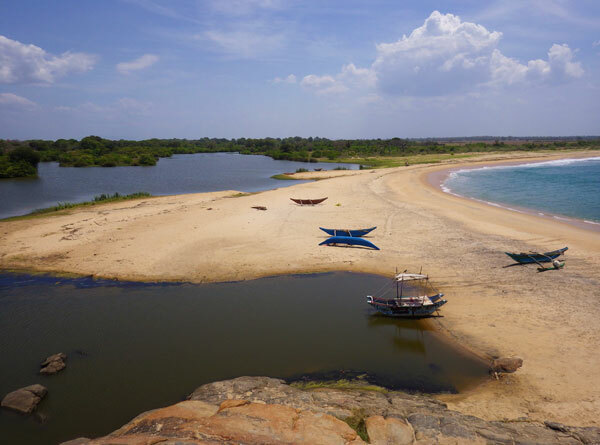 In addition to surfing, the location offers the chance to explore isolated and untouched beaches, climb the rock to view an amazing sunset and, of course, the chance to see wild elephants roaming nearby. Although it is only 4km as the crow flies it is about 7.5km by road and a sandy dirt track (for the final 1km). It is possible by tuk tuk, scooter or 4×4 but it is not recommended to drive off-road in a car. A tuk tuk should cost around 1000LKR one-way from the centre of Arugam Bay. Follow the main road to Panama until you reach Point 3 on the map which is the entrance to the Military Camp. Take the left hand track and follow it to the end. Walking along the beach is also an option but this is not recommended during the middle of the day as there is no shade in the area. Also be aware that the beach can be difficult to walk on depending on the time of year and the sand. 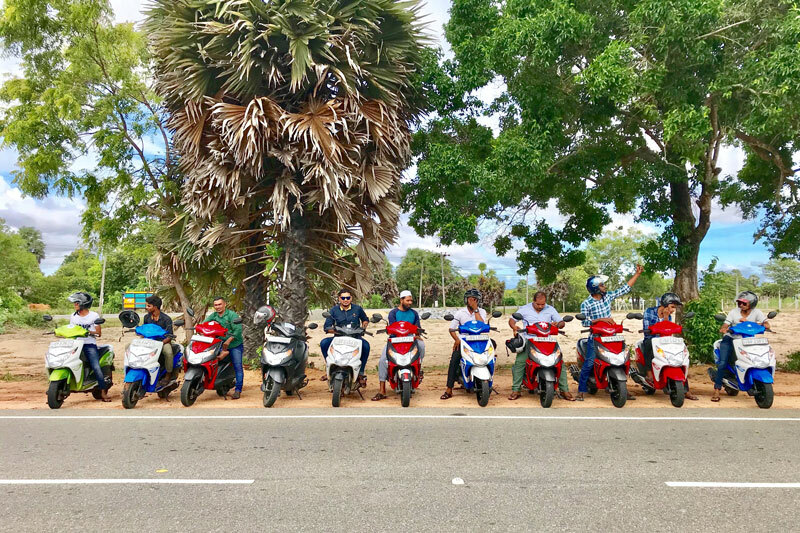 Another option is to walk or take a tuk tuk to Point 1 on the map and then walk the final part along the beach from Crocodile Rock. Point 1 is also a great place to watch local fishing activity during the fishing season from November to March. 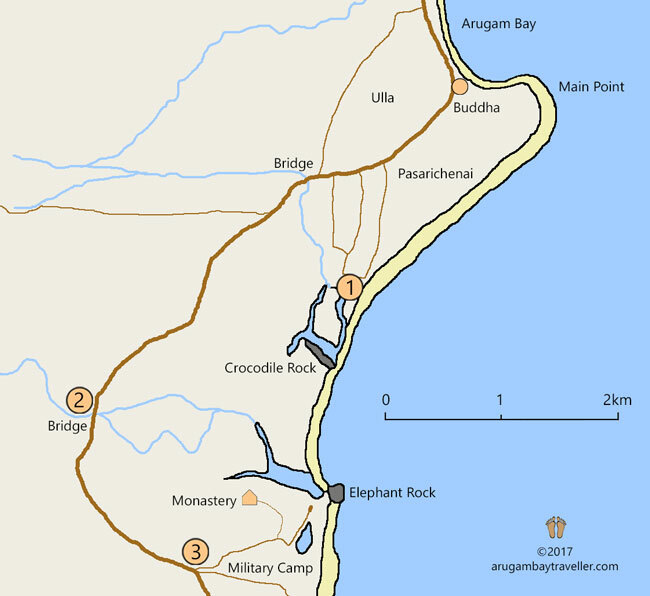 Also note that the lagoon at Elephant Rock opens into the sea during the rainy season and the route along the beach will be blocked. There are no public services in the area. There is normally a temporary drinks stall located on the beach during the surfing season. The bridge at Point 2 can be a good place to spot monkeys and other animals down near the river Heda Oya and the Monastery (Mani Naga Pabbatha Viharaya) is also worth exploring. Please be mindful of clothing and make sure you are well covered before entering the area. The whole area contained by the road from Crocodile Rock to Elephant Rock is a great place to spot wild elephants especially around sunset. There are some tuk tuk drivers who will not go there during sunset after having had a close encounter with an elephant. Keep your distance if you see one, meetings with elephants can be fatal! Sadly, a tourist died from drowning following an attack by a crocodile in September 2017 in the lagoon. The lagoon and nearby rivers are infested with crocodiles and, while attacks on humans are rare, it is recommended to keep clear of these areas.